Happily Ever After!! : Oh Girl! 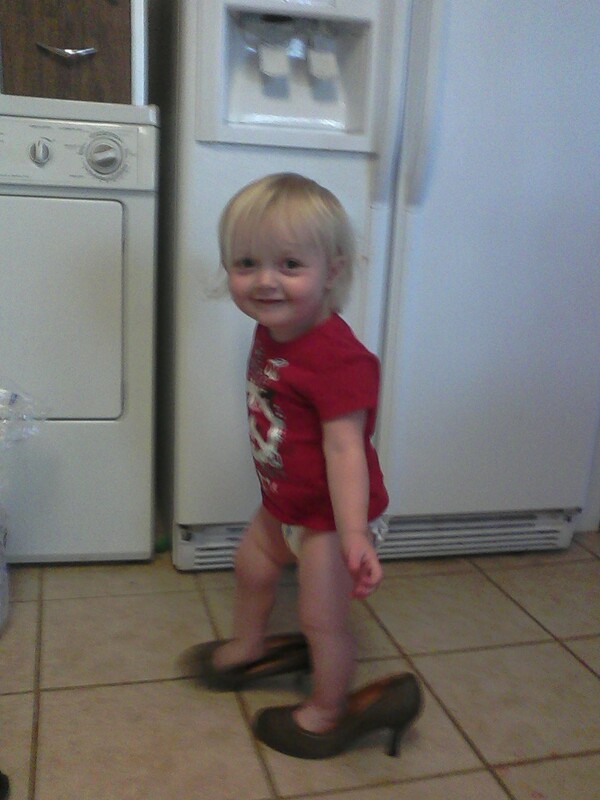 I think she wears my shoes more than I do!! But I love it!!!! She is so stinkin' cute! I want to squeeze her!! !